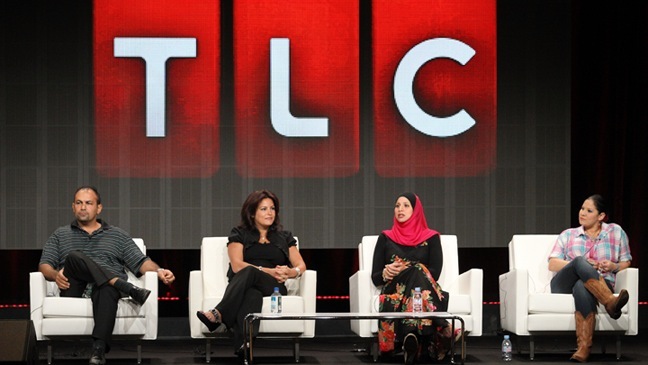 TLC's newest show is going to premiere in November. The All-American Muslim is a reality show filmed in Dearborn, Mich which hosts the largest mosque in America. It will focus on 5 Muslim-American families. Of course Americans are up in arms about the show already, which I don't understand at all. It is not like it is a reality show about Al Qaeda training camps or something to that effect. It is about normal people who happen to have a certain cultural and religious background. Good for TLC for shedding some light on a group of people that has been demonized by the greater American population for YEARS. Obviously TLC is counting on controversy to boost ratings for the show (re: Sister Wives), but still - good on them. "People fear what they don't know," says the series' cast member Mike Jaafar. "This show is based on everyday Americans, which we are. I'm not from Mars." There are a lot of ignorant people out there who have very messed up rational of why they are allowed to hate certain groups of people. If the cure for ignorance is knowledge then this show may just be what some people need.